Gifts from the Pirates: Sometimes I feel like I have the body of a man but the emotions of a child. Sometimes I feel like I have the body of a man but the emotions of a child. Do you ever have one of those days where you just feel really emotional? I really don't know what's up with me today but I really don't feel myself. I've managed to hold it in all morning while I've been out and about with Opeie. We were driving back home from popping to see nanny Roo and I looked in the mirror to check on Opeie and he was flat out, poor thing had had a rough sleep (me too) and he was shattered. 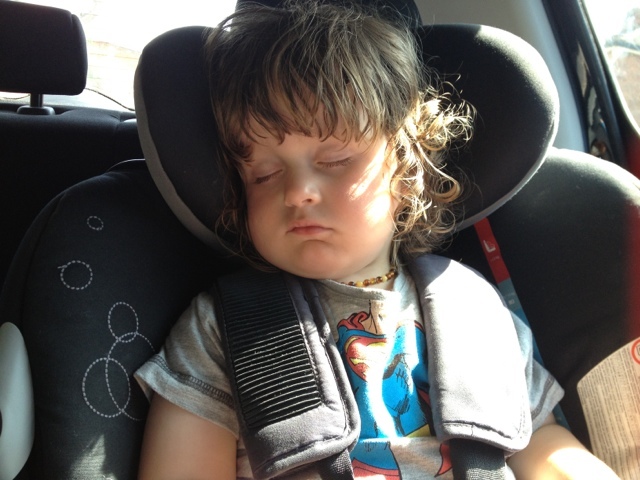 As soon as I saw him asleep I burst into tears and am still crying as I write this. I'm not feeling sad, just not myself. Sometimes when I get like this I think it's things from my past that I've buried deep resurfacing other times its this continuous overwhelming feeling I get from being a dad and feeling like I finally have a purpose. To some people I may look unapproachable, shaved head, covered in tattoos/piercings but behind this rugged exterior is a very sensitive boy and for some reason today I feel at my most vulnerable. It's probably nothing, tiredness maybe or just a rage of uncontrolable emotions like the hulk. Whatever it is I'm sure it will have died down by the time Mrs M comes out of work so ill just ride it out. Not being my smiley self really throws me off balance but I guess I can't be the sunshine kid all the time.